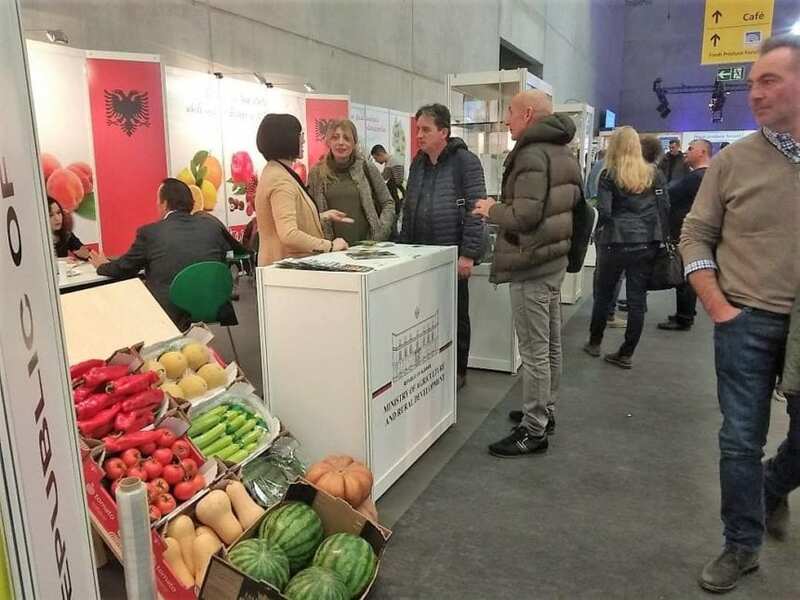 Albanian exporters of fruit and vegetables are among the 3,239 exhibiting global players and small and medium-sized companies and organizations from 90 countries that are currently attending FRUIT LOGISTICA in Berlin. The three-day event is at the same time the world’s largest fresh produce industry trade exhibition. The Participation of Albanian fresh fruit and vegetable producers was supported by Risi Albania in cooperation with the Ministry of Agriculture and Rural Development. Lea 2011” Ltd was established in 2009 and focuses on the export of chestnuts mostly in the Italian market. It is one of the main traders in Albania which exports chestnuts in large volumes. The company also exports wild blueberry, collected from mountains 800 – 2400 m high. Lea other activities the company conducts, include the cultivation of non-hybrid watermelon variety, in order to export it towards EU countries. The company has about 40 seasonal employees. The Agriculture Cooperative (SHBB) «alifrut» is located in the region of Korca which is known for its tradition in fruit-growing and favorable climatic conditions. The company has a long experience of 23 years in the fruit-growing and has been active in the market since 1993, adjusting always to the market needs. Company’s assets are 20 hectares of orchards, with modern technology, and intensive form of planting. Orchards are equipped with drip irrigation system, and the required services are carried out based on the plant needs using the best methods, by enabling high product quality and yield; Production of about 600-700 tons of fruit per year, of which 95 % is apple (mainly Starking, Gold Delicious, Granny Smith varieties) and cultivation of 5 new cultivars such as: Fuji, Gala, Rennet Griss, Ana Mari, and Super Red Chief. The new cultivars are of very high quality and highly demanded by the domestic and international market; Cold storage facilities with modern technology and capacity of 500 ton. Sorting and packaging system for fruits, fulfilling market requirements; Qualified staff of 10 persons for the overall management of cooperative, management of orchards and fruits marketing. Tomato-AL sh.p.k is founded in 1998 as joint cooperation of the best farmers of the area, agricultural experts and a trader, as a response to the higher demand of the market for qualitative and added value Albanian fruits and vegetables. The company is engaged in production, export, and trading of fresh fruits and vegetables and import of agricultural inputs and seedlings of fruits and vegetables. Tomato-AL nowadays has 60 employees and a wide range of products like tomato, cucumber, pepper, cabbage, cherry tomato, leek, melon, watermelon, strawberry, orange, clementine, lemon, peach, cherry, grapes, etc. Kaza Frut Company started operating in 2008. The company is involved in the production, processing, marketing and trading of plums and other fruits like apple and cherry. KazaFrut has 2 ha orchards of mainly plum, apple, cherry; w a park of agriculture machinery; cold storage rooms of capacity 25 ton; w processing line for preparing plums to produce raki. In 2012 Kaza Frut has installed the plum drying line with the capacity 2.8 ton fresh plums per-day (0.7 ton dried plum daily). This is the first drying line in Albania. KazaFrut has invested in marketing, labeling and packaging of plum fruits (packed in 200 gr., 500 gr. and in boxes of 6 kg). The processing activity is in the 4th year, but the perspective is positive because it is the 1st nationwide process of industrial drying of plum. Frigorifer Cenolli started operating in 2005 as a company involved in the production, storage, preservation of different varieties of apple. The company manages the cultivation of 4 hectares of orchards, by producing 200 ton of apple. Frigorifer Cenolli has a staff of 10 employees and is also engaged in collection and trade at an annual capacity of 1.500 ton. The company possesses cooling/ fridge rooms of 700-ton capacity. Engjell Dervishi has created his company in 2008, specialized in production, collection, and trading of apples. The company has personnel of 8 employees and is equipped with cold refrigerator rooms of 500-ton capacity for offering fresh and high qualitative apples at a long season. Dupi Frut Ltd was established in 2015 in Kavaje, Albania. It is specialized in wholesale of fresh fruits and vegetables. The main activity of the company is cultivating, producing and trading of garlic. Dupi Frut has 25-60 employees. Dupi Frut is among the few Albanian companies using high-end equipment, machines, and infrastructure in the production of garlic. The company offers in the market a wide range of garlic products such as Garlic Head, Peeled garlic and Minced garlic at a total product’s capacity of about 100 tons/month. The company exports its products to Italy, Croatia, USA. They are offered both in supermarket chains and wholesale markets. As a small family business, established at the beginning of the year 1958 with the activity of collecting, cultivating and exporting fruits and vegetables. 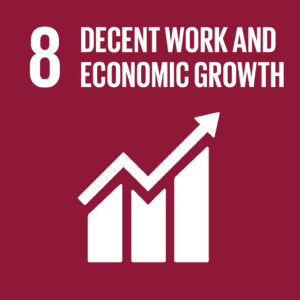 The growth rate of activity, satisfactory economic and financial indicators, brought investment ideas for creating new organizational units and sub-units in the Republic of Albania and Macedonia with the idea of creating a chain for the collection, cultivation, and exportation of products fruits and vegetables. Mostly, products are exported in countries such as Switzerland, Sweden, Netherland, Italy, France, Romania, Bulgaria, Czech Republic, Croatia, Ukraine, Belarus, Serbia, Montenegro, etc. It’s a modern center with a surface of 30,000 m², equipped with necessary conditions, such as controlled rooms for flow with high capacity of fruits and vegetables. Equipment for pre-cooling, washing, cleaning and standardization, selection and calibration.